Upgraded and Move-in Ready! Charming 1940's home with new front yard landscaping and automated water system, refinished original hardwood floors, new paint inside and outside, as well as new compliant sewer lateral, new compliant water heater and upgraded electrical system. 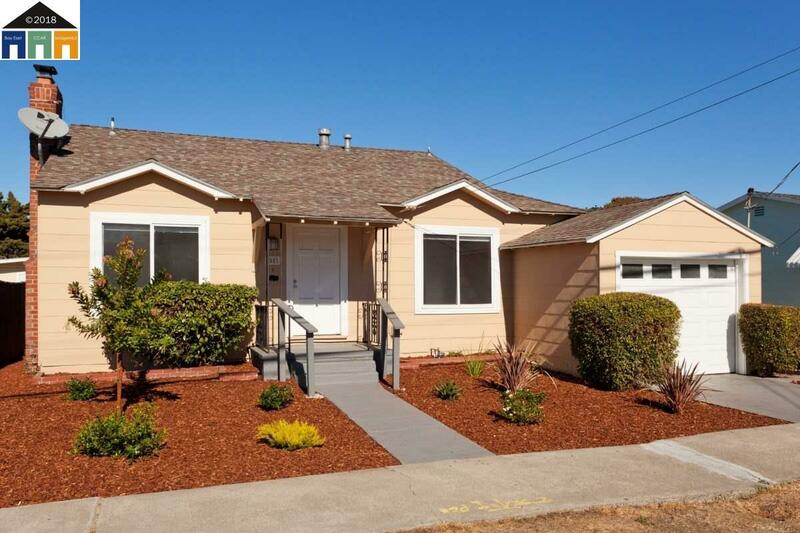 Located in desirable âNorth & Eastâ neighborhood, less than 20 miles to San Francisco, 13 miles to Oakland and 10 miles to Marin. Home features upgraded kitchen with new floors, counter tops, disposal, stove and refrigerator. Bathroom features all new tile, shower/tub fixtures, vanity sink, light and ventilation. Generous sized bedrooms, new wood burning fireplace in living room off of dining area and a very large backyard with storage shed. Plenty of parks, schools and shopping nearby. Perfect for commuters, just minutes away from BART and Amtrak stations. New ferry service between Richmond and San Francisco Ferry Building launching in January 2019!